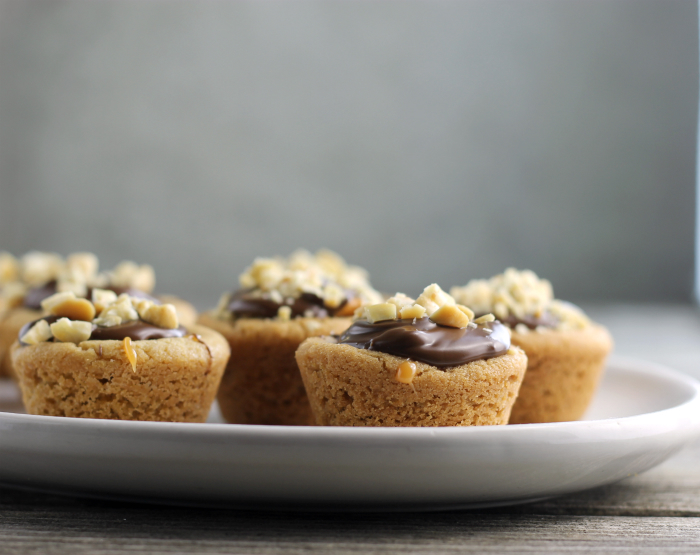 Caramel stuffed peanut butter cookie cups are now my all-time favorite cookies. 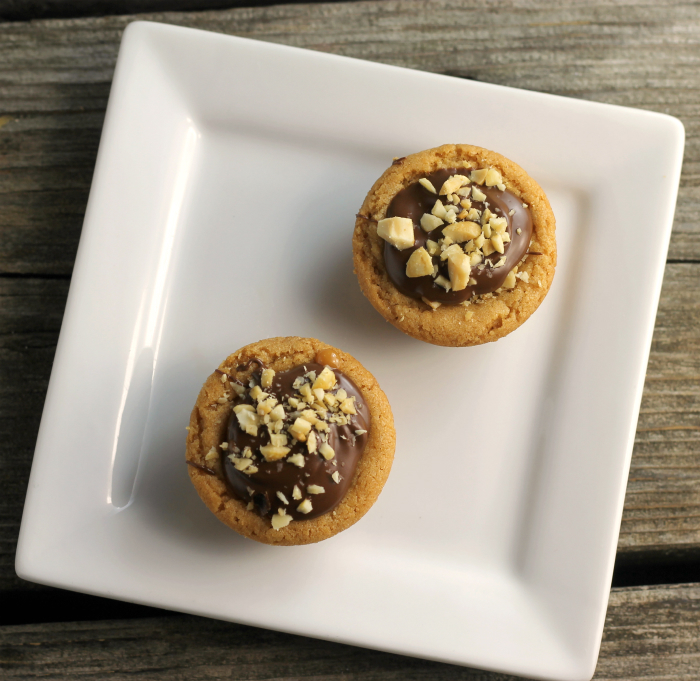 It’s no joke; I have fallen in love with these caramel stuffed peanut butter cookie cups. You may have heard me say that I have fallen in love with a recipe a time or two before, but these cookies are to die for. I am one of those people that crave peanut butter. You give me a peanut butter cookie and I am a happy lady! But it’s funny… my kids all loves peanut butter as much as I do, but if I make peanut butter cookies, no one eats them. Well, that may not be true, but they are not crazy about them. I could eat the batch of plain peanut butter cookies by myself, something I really should not do. So I have been kicking around the idea of dressing up those plain old peanut butter cookies into something magical. 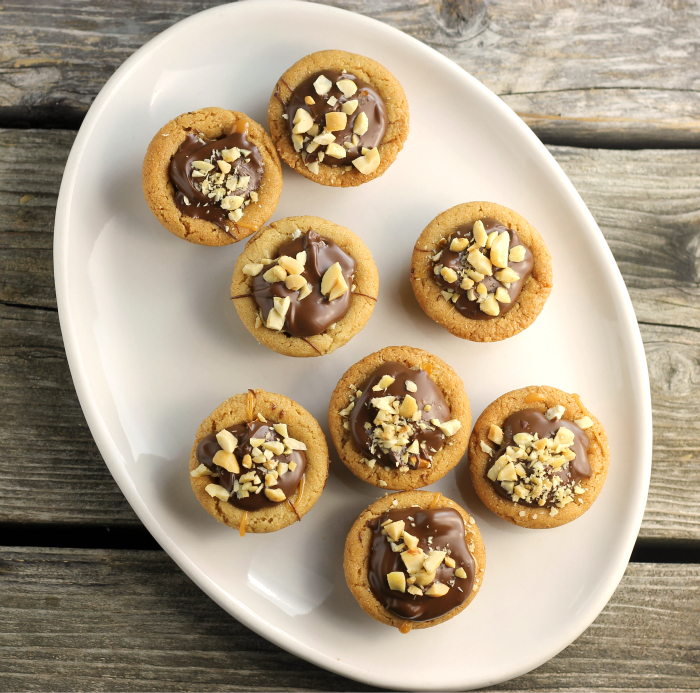 And I have accomplished my mission with these caramel stuffed peanut butter cookie cups. 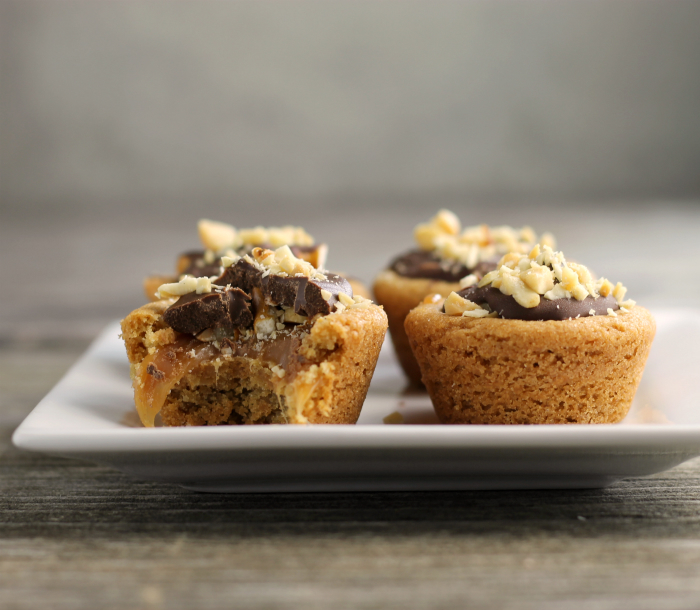 Not only is there caramel stuffed in this caramel stuffed peanut butter cookie cups, but there are peanuts and pretzels nestled on top of the caramel and tucked under the chocolate. I don’t think I will have to worry about my kid’s not eating these cookies. I have added this caramel stuffed cookie to my Christmas cookie list that is how good they are. If you like this recipe check this cookie recipe! Oooh, I could fall for these, too!!! I love the caramel pb combo. I may try these using Rolo candies!!! So cute, too! Oh m gosh, what a post title. Love it. And that plate is pretty darn cool. Happy Oogie Boogie Weekend !!!! Peanut butter, chocolate and caramel…I would love these too, Dawn. These look delicious; just perfect with an afternoon cup of coffee! These must go on my list of Christmas cookies…they sound great.